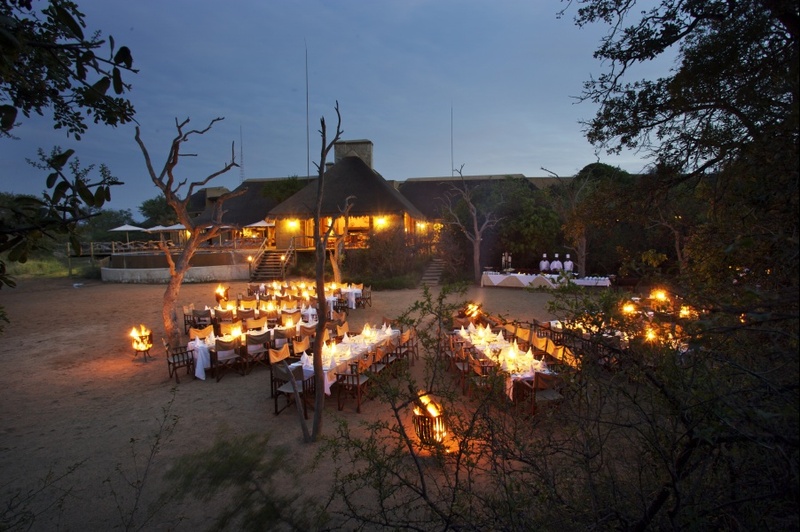 Kapama River Lodge has its home in a bend of the seasonal Kapama River within the Greater Kruger National Park area. Just beyond the perimeter of the camp, wildlife gather at a permanent waterhole. The camp includes 64 suites with bush-view patios; a rim-flow swimming pool and pooldeck; lounge and bar area under thatch; and a multi-functional events venue. The inviting spa and wellness centre includes multiple treatment rooms, as well as a lap pool and an equipped gym. Dine in a variety of indoor and outdoor venues, enjoying traditional South African fare. Families and groups are welcome at Kapama River Lodge. There's currently no specials at Kapama River Lodge. Kapama River Lodge has an African-style conference facility with glass stack doors revealing the vast wilderness. This inviting safari conference venue has seating up to 130 delegates. Various teambuilding activities are available to groups.